The first release of Michael Jackson’s since his death a year and a half ago, and the first album with all new material in nine years, Michael is an amalgamation of tracks. Many sound similar to different albums of his career with small touches to make them sound more modern by various people though it’s hard to tell what was changed by ear alone. The most modern sounding of these tracks is “Hold My Hand” and “Monster”, thanks to appearances by Akon and 50 Cent respectfully. Unfortunately, the weakest song is his duet with Akon which was to be originally released on Akon’s 2008 album, until the unfinished track was leaked. The first track to chart on the Hot 100, it reached the Top 40. “Monster” on the other hand is much better, with anger and persecution in the vocals you would find in the last three of his studio albums. Indeed,many of the songs sound as if they came from these albums. “Best of Joy” sounds like a song from Invincible, “Hollywood Tonight”,with its opening reminding one of “Who Is It” and a catch phrase and spoken vocal reminiscent of “In the Closet”,from Dangerous. Originally recorded for Invincible, “(I Can’t Make It) Another Day” sounds as though it came from Blood on the Dance Floor or HIStory. It was produced and written by Lenny Kravitz with guitar and background vocal by Kravitz. The three best songs on this album are “Breaking News”, “Behind the Mask”, and “Much Too Soon.” The latter two were both written or cowritten by Michael during the Thriller era and it’s not hard to tell. “Behind the Mask” is the best track on the album, with the sounds of a concert crowd opening the song. It includes a sample of the Yellow Magic Orchestra song of the same name. Yellow Magic Orchestra was a pioneering electropop group from Japan, who released their original version in 1979. The only criticism is that the saxophone on the track may be a little cheesy for some. 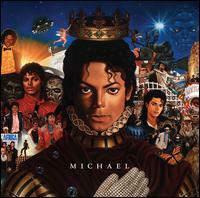 The album closes with the song “Much Too Soon”, the title seeming to comment on Michael’s untimely death. However,the lyrics itself have nothing to do with the death and instead talk about love lost. The finale harkens back to Michael’s solo songs before Off the Wall, but this time with a twenty-something voice. Overall, the album has received reviews that were neither strongly negative or positive. Personally, I would recommend it especially for fans of MJ. This entry was posted in a musical recommendation, music, Uncategorized and tagged 2010, 2011, 50 cent, Akon, album, album review, bad, Blood on the Dance Floor, cd review, Compilation, history, Hold My Hand, Invincible, Lenny Kravitz, M. Jackson, Michael, Michael Jackson, MJ, MJJ, music, music review, New, new cd review, New Jack, new music, new music review, New Release, Off the Wall, Pop, pop music, rap, review new cd, Rhythm, Thriller, Urban. Bookmark the permalink. i’d like to hear how he uses ymo. sounds interesting. Thanks for taking my request, Tony! Please consider writing some more posts, please!